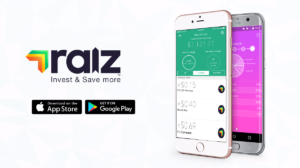 Raiz Invest (previously Acorns Australia) launched in 2016, quickly amassing close to one million users. George Lucas, CEO is one of the more experienced founders in the FinTech NextGen series. Many CEO’s in financial services struggle to relate to the Millennial market, not so George and his Raiz Invest team. Discover his secrets in this interview with Dexter Cousins of Tier One People. How does Raiz Invest work? George: Raiz Invest is a micro investing platform, enabling users to invest in the markets with as little as five dollars all through an app on your mobile phone. Put simply, we enable users to save in the background of life. Raiz educates a potential investor setting aside the misconception that investing and financial planning is too difficult to get involved in. We have created multiple ways for our users to save and invest. The first way is through a lump sum investment, you can deposit money into the investment account at any time. The second way is to set up a savings plan or a recurring investment, where an automatic payment goes into the account. The third way is the round up feature which we have become well known for. The round up feature tracks your spending on your debit cards, bank accounts, et cetera and rounds up transactions to the nearest dollar. 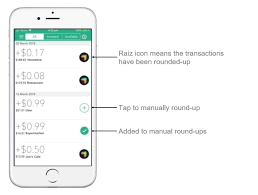 If you spend $3.50 on a coffee, 50 cents is invested into your Raiz account. People can start saving without having to think about or setting savings goals. It just happens in the background as you get on with life. How was the idea for Raiz born? George: The traditional way of investing requires 5000 dollars to get started. You need to complete a load of forms, pay for advice, find a broker. We wanted to simplify the process, reduce the inertia people experience when making investment decisions and make saving and investing super simple. The plan from day one was to create something where a customer could invest as little as five dollars, sign up, in minutes through a mobile phone and access their savings whenever they wanted. Back in 2014 we started explaining the concept to people and felt we had something special. Once people began registering for the pre-beta testing, the feedback we received was even more encouraging. People loved being able to invest for as little as five dollars. The ability to link accounts, round up spending and invest automatically resonated particularly with the millennial generation. We officially launched in February 2016 in Australia, as Acorns. In the lead up to the launch, we were extremely busy building the software, applying for licenses, developing the product and platform security. It’s a big job. And we wanted to ensure the product we launched was fully functional. We were still just a start-up of three people when we launched. How have you managed to tap into the notoriously difficult to penetrate Millennial market? George: We’ve simplified the choices and made investing accessible to everyone. The product has gained a lot of traction with Millennials, more than 900,000 people have downloaded the app and we are managing more than $250 million in funds. By simplifying the choices, making it very easy to sign up and offering round ups, investing is hassle free. But we have also developed a lot of loyalty within our customer base. That is one of the coolest things, how engaged our customers are with the app. Engagement is key and we are always listening to our customers. As an example, a customer requested a socially responsible investment option, so we created one for them with the Emerald portfolio. If you look at our product development releases to date, some examples being Raiz Kids, Raiz Rewards, My Finance and most recently Raiz Super, it has all been driven by our customers. The roundups feature has been a big hit with Millennial market, enabling users to save and invest without thinking. What have been your greatest challenges since launching? George: When you offer investment products geared towards savings it is best to have a conservative investment strategy. But when there are market downturns it can present challenges. The major banks in Australia have tried to make life difficult for us, as we are disrupting a market they probably didn’t know existed. Despite the challenges, we’ve built an ASX listed Investment business with a young team of only 16 permanent staff, this includes 4 developers, 4 customer support team members, the rest of our team are across marketing, research, and operations. We outsource when we need to as the workflow and demand isn’t linear. For want of a better word, Raiz Invest is an agile organisation. And so being an agile organisation also means we have a very flat structure. We have managed so far to maintain a high level of customer experience even though we run lean. But that’s because the machine is very automated. We are not encumbered by legacy systems and outdated technology. Our people seem to enjoy the challenges of a FinTech startup. It’s very laid back, no one comes in to work in a suit and tie, we’re not that type of financial services organisation. It’s a very young business, most our people are under the age of 30. And they seem to be laughing a lot, so they can’t be that unhappy! At the end of the day, there have been many challenges and it has not exactly been easy. We had to make sure we had a clear marketing plan to acquire customers in line with the highly regulated industry. And at the same time, we had to make sure we had enough funding. Raiz listed on the ASX earlier this year. What made you chose the IPO route? George: This is a great question. There are many reasons why we chose the IPO route. It has brought many benefits but there are drawbacks to listing too. In October 2017 we began discussions to significantly reduce the share-holding of our American partners (Acorns Inc.) and rebrand. The plan was always to list, it was just a matter of when. We had been operating almost as a separate company from day one and the JV limited our scope to expand. As I am sure you know, technology is moving fast and therefore we as a FinTech company must move even faster. The decision to list was made to deliver on the growth plans for Raiz. As a nimble fast moving FinTech start-up we wanted to take advantage of the huge growth potential in Australia and South East Asia. An IPO provided the liquidity we needed and gave the existing investors an exit opportunity. So, we listed June 21st, 2018 knowing if we ever needed to raise capital in the future, being listed might also make a further capital raise easier to achieve. With growth and success comes extra regulatory requirements. So, we also needed to increase our capital reserves. The extra compliance costs associated with being listed weren’t very high. Our dealings with the regulators are positive. They have a certain speed at which they do things, it may not be at the speed we would always like. However, once they understand the concept, they are open to new ideas and business models. The downside of listing is our current market valuation which is down from the IPO valuation. If we had raised capital through VC or Private Equity the current valuation would be much higher using their metrics. It doesn’t make sense to me, Raiz trading at a valuation less than we would get if we were unlisted. From my point of view, I think the company is significantly undervalued. When I can, I purchase shares, as do the other directors and staff. But we are at the mercy of the markets! Rebranding and renaming a Start-up can often have disastrous consequences. How did you ensure a successful re-brand? George: The rebrand was an interesting exercise. We felt if we asked the customers for feedback and assistance in the name change it may gain more traction. Whilst we loved the Acorns name and so did our customers, it was an arduous process. We wanted to ensure that all the qualities of the old Acorns remained. But the rebrand provided an opportunity to further improve features and services. Finding a unique name in financial services isn’t easy. We started with a list of over 500 names. The top 50 names were all taken. We then looked at the next 50 names, some were taken, the rest failed under trademark searches. The name had to be something we could uniquely spell and build a new brand around. Raiz was eventually chosen based on the feedback from our community. The name continues to champion the central thesis. Raise your wealth, raise your financial confidence and raise your investment knowledge, all in the background of life. What does 2019 have in store for Raiz? George: We’re working on the launch into South East Asia, starting with Indonesia and Malaysia. We continue to develop the technology and have deployed artificial intelligence and chat bots with encouraging feedback from our customers. There is lots of work to do. We continually look for ways to improve the user experience. Expect new releases of the app soon with improved functionality and experience. We have collected and analysed huge datasets on how users use the app. Raiz customers can expect a highly personalised experience as we move into 2019. At the end of the day our goal is and always will be to ensure we increase our customers’ financial confidence and help improve their lives.